In church on Sunday, my pastor made a statement that stuck with me. Your flesh will lie to you, don't believe it! The Word tells us that BY HIS STRIPES WE ARE HEALED, so if your flesh is telling you something different, DON'T BELIEVE IT! On that particular Sunday morning, I was not feeling well at all, but do you know what? MY FLESH WAS LYING because the truth was that I was totally and completely healed. Has your flesh ever told you a lie? Has it told you that you do not have enough? 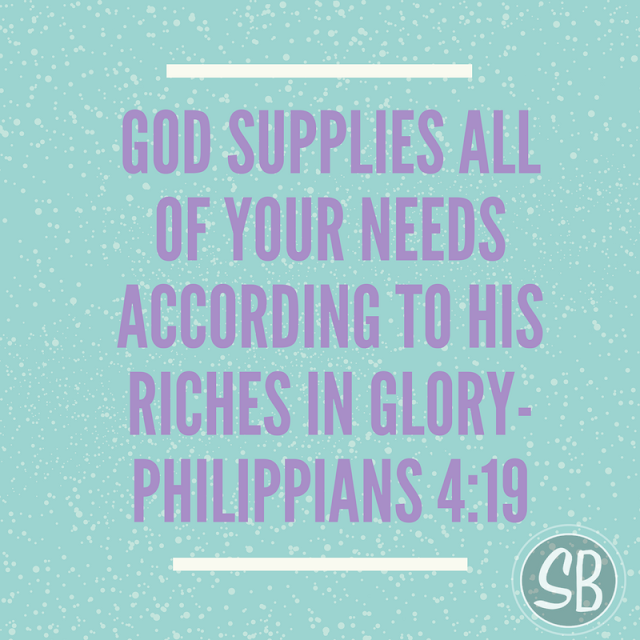 WELL, the truth is that OUR GOD SUPPLIES ALL of our needs according to HIS RICHES in glory! Your flesh will lie to you, so instead of believing it, just begin to thank the Lord for what you know is true! Find a verse for your specific situation and stand on it!